Stop looking for the best tank, start looking for the best modification instead. 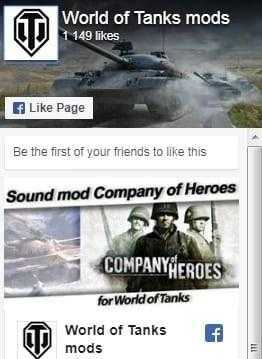 Well, if you are here, you`ve already done half the business – you`ve found the best site with World of Tanks mods 1.4.1.2. The only thing you need to do now is to choose one of the mods we have and download it for free. New textures. Make your old tanks look new. So, what are you waiting for? Go straight to our list, choose whatever you want and download it. All of the mods are free and have no viruses in them. We haven’t even spoken about the visual enhancements. That is so great, when new WoT skins give you fresh game impressions ― everything looks so wonderful! With the new sights and reticles you`ll perform like a real pro, no doubt. Apart from that, there is one kind of update that is considered to be one of the best mods for Wot. It optimizes the game performance. The owners of the bad computers are finally able to have at least 40 fps. It will reduce the freezes to the minimum. Finally, you can download WoT mods free using the direct link without registration. No strings attached! Only the content of the best quality.